I’ve been a bathrobe enthusiast for most of my adult life. There’s nothing quite like waking up in the morning, wrapping my bathrobe around me, and then pouring a cup of coffee – experiencing a few moments of peace – before my day begins, before I have to put on clothes. Saying this, during my writing days, laundry days, rainy weekends, or sick days, very often I’ll end up wearing my bathrobe for just about all of it. But let it be known, not all bathrobes are created equal. For years now, I’ve been using the same bathrobe. At one point I guess you could say it was acceptable, warm when I needed it to be warm, comfortable too, but even when I first purchased it, words like luxurious never crossed my mind when I wore it. Let’s just say I didn’t know what I was missing. A little more than a week ago, I received my first ever Thirsty Towels bathrobe. I went with the Turkish Terry Presidential Robe. It took only one try for me to realize that a bathrobe could encompass those descriptive adjectives such as lavish and plush, as the Turkish Terry Presidential felt absolutely marvelous. Walking around my apartment, I imagined myself in a five-star hotel, the Turkish cotton, soft against my shoulders, fit for pampered royalty. Then I took a shower and understood entirely the Thirsty Towel name, as the bathrobe literally soaked up the water which my inferior bath towel missed, and I believe this is what I love most about the bathrobe – the weight and thickness of the cotton. The only downfall is that every time I wear the bathrobe my desire to begin my day, to change into clothes, becomes rather nonexistent. Thirsty Towels is also a company you can trust. They are backed by the Oeko-Tex Standard 100, meaning all of their products are tested to make sure harmful substances are not being staged in any stage of the manufacturing process. Likewise, they emphasize transparency when it comes to their factories, promoting fair labor practices while decrying those companies who turn a blind eye towards child worker exploitation. An important message for sure, and one which will hopefully prompt us to be more mindful about the companies we buy from. But perhaps this is why Thirsty Towels bathrobes are a little on the pricey side of things. Cheap, dangerous material and labor are not being used. However, when you purchase anything from Thirsty Towels, you can rest assured that your money isn’t supporting negligible working conditions or child labor. Regardless which bathrobe from Thirsty Towels you choose, the money will be well worth it, whether you buy a robe for yourself or for a loved one. And really, the Holidays aren’t too far off. The Thirsty Towels bathrobe would be the perfect gift, one that keeps on giving, every morning or night, each and every time it’s worn. 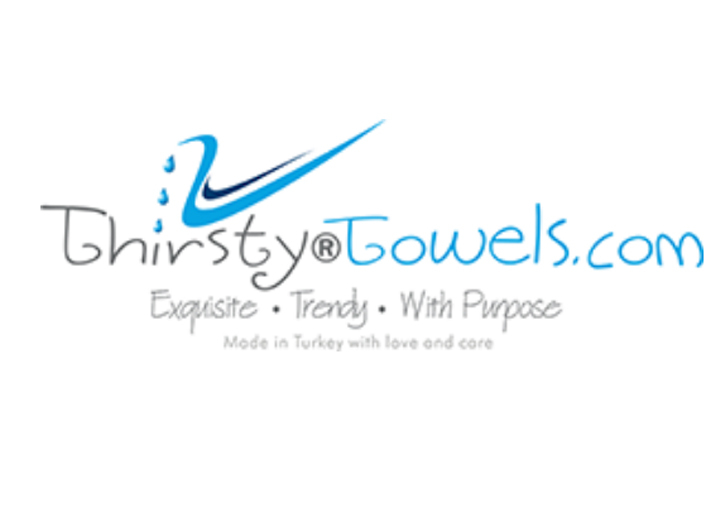 To purchase your Thirsty Towel today, click here! Featured Image obtained on official Thirsty Towels website!